The James Graham Brown Cancer Center at the University of Louisville is among a growing number of facilities working to improve care for head and neck cancer (HNC) patients through collaborative care programs that bring together a spectrum of oncology specialists. The center provides multidisciplinary treatment for HNC patients using novel techniques that decrease the debilitating side effects of radiation and chemotherapy. The clinic also conducts research and clinical trials with targeted therapies that aim to restore patients’ oral functions. Kentucky has a higher rate of HNC than the U.S. average, which provides a large patient pool for the many clinical trials that the center conducts, according to Zafrulla Khan, DDS, MS, professor and director of maxillofacial/oncologic dentistry in the center’s HNC clinic. “That’s what happens when you mix tobacco and bourbon,” Dr. Khan noted. 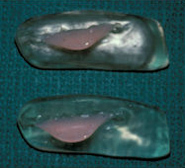 Some of the center’s novel treatment techniques involve using intraoral radiation shields during brachytherapy radiotherapy procedures to prevent the tongue and nearby oral areas from getting irradiated while minimizing mucositis and xerostomia, Dr. Khan explained. “We put catheters right into tumors so they can deliver the radiotherapy in the mouth with high-density therapy machines rather than doing an external beam,” he said. The clinic also uses a surgical obturator, a prosthetic device that enables patients to speak and swallow following surgery for maxillary sinus cancer. The maxillectomy procedure removes bones and tissue in the hard palate of the mouth, so when patients try to eat, the food can come through the nose, sinuses, and even into the lungs. The device is similar to a denture or partial and includes a bulb that fills the opening in the roof of the mouth and part of the soft palate if it’s missing. The novel approaches are among the advantages of having a multidisciplinary team that includes maxillofacial oncologists, he noted. The surgical obturator is a prosthetic device that enables patients to speak and swallow following surgery for maxillary sinus cancer. Previously, surgeons consulted with specialists individually, Dr. Khan said. Weekly meetings with the center’s specialists include an HNC pathologist, radiation oncologist, medical oncologist, otolaryngology surgeon, ear nose and throat specialist and Dr. Khan, who is a dental oncologist/maxillofacial prosthodontist. The center also has a palliative care physician for pain management, nurse study coordinator for the clinical trials, speech pathologist, and social worker for indigent patient needs such as transportation. One of his most interesting and unusual cases involved maxillary prosthodontics for a bodyguard whose face had to be largely replaced after he developed a fungal infection in his maxillary sinus. “He was a diabetic on steroids, and he ignored the infection too long,” Dr. Khan told DrBicuspid.com. A specialty team including plastic, microvascular and maxillofacial oral surgeons performed a bilateral orbital exenteration (removing the contents of the eye socket), a maxillectomy (removal of the bones along the palatal fissure that forms the upper jaw) and also removed his upper lip. The man’s eyes were replaced with prosthetic eyes and his upper palate was reconstructed with free flaps grafts from his fibula. Afterward, his face was “reasonably acceptable,” Dr. Khan said. But sadly, he became sedentary after he lost his vision and died about seven years later when he was only in his 40s. The first line of therapy for HNC patients is now shifting more toward radiation and chemotherapy, Dr. Khan observed. “When I first started it was surgery followed by radiation because it was close to a positive margin and there might be nodal involvement,” he recalled. In fact, the center’s surgical rate for HNC dropped from 43% in 2004 to 23% in 2006. “It makes a lot of sense because you can always do surgery later,” he noted. HNC cases are hugely expensive, he noted. An average seven-day treatment course costs between $40,000 to $60,000 just for radiation therapy. For Dr. Khan, the main priority is improving the lives of his patients.